Oftentimes, we get perplexed reactions from people who attend our full moon group meditations or past seminars (or even those who visit our website), but who were not fully familiar with the philosophical framework of the ageless wisdom. Some seek further clarification to understand (which we are realy grateful with), but some chose to leave without asking and form their own conclusions. It is sad when unresolved issues sometimes lead to scorn and antagonism. Thus, we decided to put up this page to address uncertainties and clarify where we are coming from. We believe that part of the confusion came from the dominant culture's stereotyping of the "new age mindset" as exclusively coming from the existential and metaphysical nihilism of its eastern religious origins. We believe in redeeming matter and the value of external and societal change to improve the quality of life to make it conducive for individual change, when almost everybody thinks that change should only come from the individual first. Are we just being contemptuous by trying redefine the wheel or are there actual philosophical basis for these divergent views? "The mystic deals with the evolving life; the occultist deals with the form. "The mystic deals with the God within; the occultist with God in outer manifestation. "The mystic works from the centre to the periphery; the occultist reverses the process. and therefore governed by the same laws. and thence to the atma or Spirit." For a more accurate and detailed exposition on the nature of esotericism/occultism and the esoteric approach, please read excerpts from Alice A. Bailey's books: Nature of esotericism and The Mystic and the Occultist. 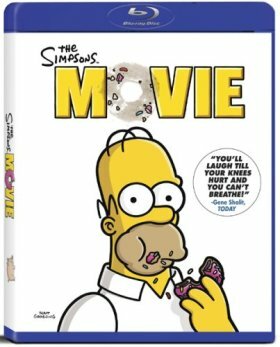 If one doesn't want to bother with all the jargons of esotericism and all the philosophical gobbledegook, one simply has to see the animated comedy film, "The Simpsons Movie". 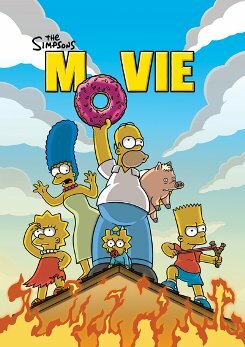 The way we see it, the movie got it right in presenting the arguments between the mystical (represented by Homer Simpson) and the esoteric approach (Marge, Bart and Lisa Simpson) which divided the family. On one side, Homer only wants to save himself and his family and chose to remain indifferent to the problems of the community they are living with, while Marge and the kids would want to do something about it since they are the ones who partly caused the problems. For a synopsis of the film, Wikipedia's take is pasted below. "While performing on Lake Springfield, rock band Green Day are killed when pollution in the lake dissolves their barge, following an audience revolt after frontman Billie Joe Armstrong proposes an environmental discussion. At a memorial service, Grampa has a prophetic vision in which he predicts the impending doom of the town, but only Marge takes it seriously. Lisa and an Irish boy named Colin, with whom she has fallen in love, hold a meeting where they convince the town to clean up the lake. Meanwhile, Homer adopts a pig from Krusty Burger and names it "Plopper". Homer stores the pig's feces (and some of his own) in an overflowing silo which Marge tells him to dispose of safely. However, Homer gets distracted and instead dumps the silo in the lake, re-polluting it to an even more severe degree. Moments later, a squirrel jumps into the lake and becomes severely mutated. Nearby, Flanders and Bart discover the squirrel during a hike, and the EPA captures it. 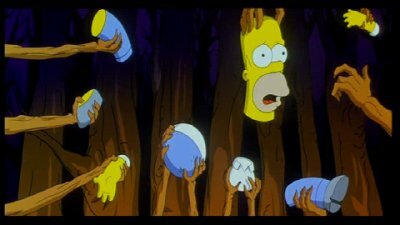 Russ Cargill, head of the EPA, presents five options to President Schwarzenegger to keep the town's pollution contained; he randomly picks option 3, enclosing Springfield in a large glass dome. When the police discover Homer's silo in the lake, an angry mob of townspeople approach the Simpsons' home and set the house on fire, but the family escape through a sinkhole that leads to the outside of the dome, and flee to Alaska. The trapped citizens damage the dome over time and Cargill, not wanting news of what he has done to become widespread, plans to destroy Springfield. In Alaska, the Simpsons see an advertisement, starring Tom Hanks, for a new Grand Canyon to be located on the site where Springfield is located. Marge and the kids want to go and save the town, but Homer refuses to help the people who tried to kill them. The family abandon Homer and leave, but are captured by the EPA and then put back into the dome. 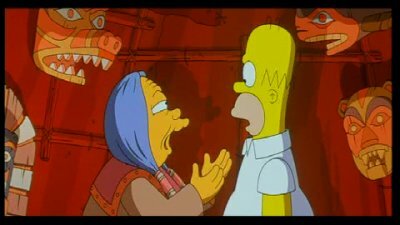 After a visit from a mysterious Inuit shaman, Homer has an epiphany and believes he must save the town in order to save himself. The Inuit Medicine Woman helped Homer undergo an "epiphany" or a sudden realization of great truth. Through throat singing, he was placed into a trance or vision quest where his past actions were replayed to his memory. In his vision the shaman warned him that unless he will have an epiphany, he will spend the remainder of his days alone. At one point, living trees tore-off Homer's limbs and the different parts of his body apart. Much like in a shamanic initiation but also, as we see it, is a symbolic esoteric idea that we are parts of a greater whole; we cannot function effectively without the whole, and the whole cannot live without its parts. Slowly, Homer came into the realization that "other people are just as important as me....without them, I am nothing. In order to save myself, I have to save Springfield, that's it!" Then suddenly the living trees brought back his body parts together again.